Thanks for Voting! Now time to count….. Thanks so much everyone for participating. Now it’s time to tally the votes. Last time I checked, we hade close to 10,000 votes, so I’m sure there are many more now. What I’m doing now is tallying the judges’ favorite picks since I’m hoping the computer can take care of the Peoples’ Choice Awards. Otherwise, I get out the abicus. 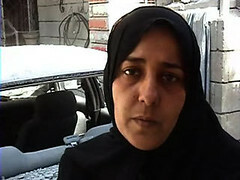 Many viewers have voted for AliveInBaghdad as their favorite documentary and/or political video blog. I’m excited to say that Brian Conley, the Boston-based editor of the videos sent to him surreptitiously from Iraq, will be attending the Vloggies. Friday, Oct. 27th is the last day to vote for the Vloggies. Make it count. Nominations are closed, go VOTE! The last day of voting for our favorite online videos and vlogs is Oct. 27 and then we get to party on Nov. 4 in San Francisco! If you don’t vote, I’m gonna spank you!